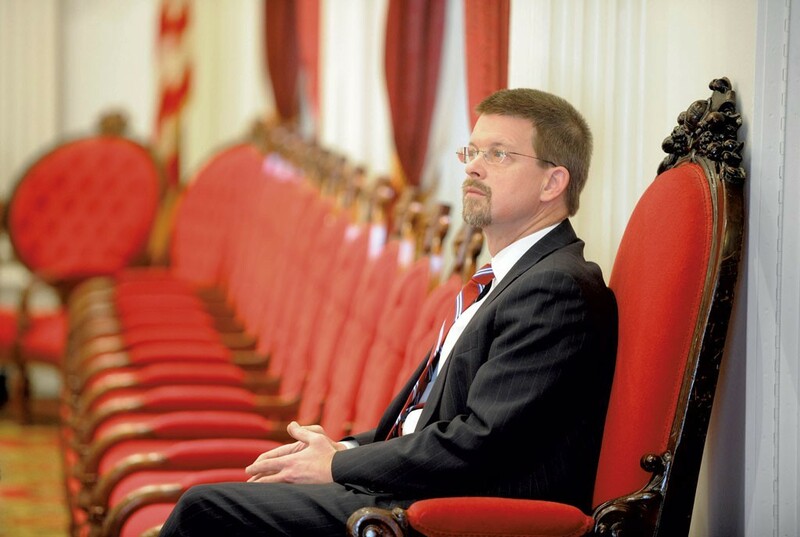 Though he continues to play coy about his political future, House Speaker Shap Smith (D-Morristown) has already filed paperwork indicating he's running for governor in 2016. Those who raise or spend $500 in pursuit of public office must register as candidates with the Vermont Secretary of State's Office. Smith did so Tuesday, according to the office's online database. In his filing, Smith said he was seeking the Democratic nomination for governor. He listed Sen. Claire Ayer (D-Addison) as his treasurer and former KSE Partners lobbyist Liz Sortino as a contact. Sortino, who briefly led the House Democratic political action committee last year, has been rumored as a likely campaign coordinator for Smith. According to Ayer, Smith reached out to her more than a month ago to solicit her support. He called her “a couple weeks ago” to ask her to serve as his campaign treasurer, she said. Smith, who was first elected to the House in 2002 and who has served as speaker since 2009, did not immediately return a call seeking comment Thursday afternoon. He told WDEV's Mark Johnson Thursday morning that he would announce his plans next Wednesday in Morrisville, though he declined to say what those plans would be. Citing "two high-ranking Democrats," the Associated Press' Dave Gram reported later Thursday that Smith would be running for governor. Ayer said she expects to speak at Smith’s formal announcement next week. Smith is not the first to register as a candidate. Former senator Matt Dunne, a Google executive from Hartland, filed in July, shortly before announcing a sizable fundraising haul. Dunne has also played coy about his intentions. The two are hoping to replace incumbent Gov. Peter Shumlin, who announced in June he will not seek a fourth term.